Sometimes the people who live or work in Sunny Isles Beach are injured in car accidents in Miami or anywhere throughout South Florida. When they are hurt they usually call a Sunny Isles Beach car accident attorney to help them put the pieces of their lives back together. It is important to understand that there are tremendous forces in play to either prevent or diminish your ability to recover after a car accident in Sunny Isles or anywhere in Miami and South Florida. The driving force against you will be the insurance industry. Make no mistake about it – the car insurance industry is only concerned with their bottom line. What these insurance companies will never admit but cannot avoid by their actions is the way they do business – deny, delay and don’t pay. So how can you fight back? How do you stand up for yourself? One step is to get the best Miami car accident lawyer you can find for your Sunny Isles Beach car accident. At the Wolfson Law Firm, the Miami car accident lawyer and personal injury legal team are available to answer your questions and help you obtain the best result possible after your Sunny Isles automobile accident. 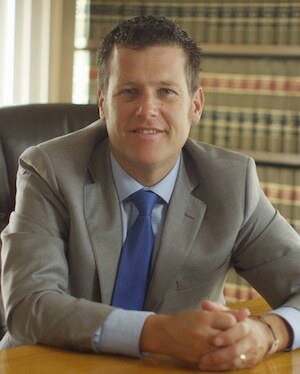 Our managing trial lawyer, Jonah Wolfson, is a bilingual personal injury lawyer here in Miami. The Miami car accident lawyers at the Wolfson Law Firm handle all types of accident and injury cases. They know what to do to help you get the justice you deserve. Just reach out to us for your free consultation at (305) 285-1115 and let us get to work for you right now. In 1920, an investor, Harvey Baker Graves purchased a 2.26-square-mile piece of land for development as a tourist resort. He named it Sunny Isles. In 1997, the citizens of the area voted to incorporate it as a municipality. Total population of city according to the 2010 census was 20,832. 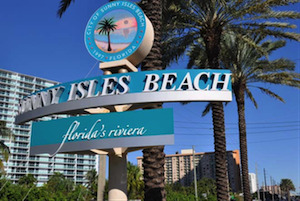 Sunny Isles Beach is surrounded by Miami-Dade County, the Atlantic Ocean from East and The Intracoastal Waterway from West. Its location has been of preference by Russian residents who have found an attractive real estate haven in the resort style buildings of Sunny Isles. At the Wolfson law Firm in Miami, our personal injury attorneys have more than 70 years of collective experience in helping car accident victims in Miami. In fact, we have served the Miami and South Florida community since 1963 and we are ready, willing and able to serve you and your loved ones. All you have to do to get us started is to call us at (305) 285-1115 and let’s discuss what we can do for you. The Miami injury lawyers and accident attorneys at the Wolfson Law Firm serve not only the folks of Sunny Isles Beach but all of the tremendous communities of South Florida including Aventura, North Miami Beach, Hallandale Beach, Haulover, Golden Beach, Miami Beach, North Miami, Edgewater, Miami Shores, Surfside, Pembroke Park, Miramar, Hollywood, Dania Beach and Golden Glades.